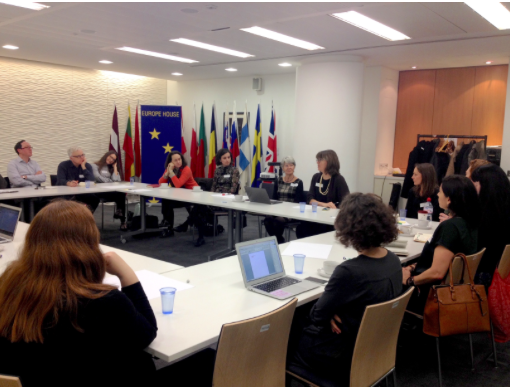 On the morning of December 13th, 2016, Visiting Arts hosted a discussion to explore the international agenda for culture in the UK post-Brexit in Open Space format at Europe House, the office of the EU Commission Representation and Parliament in the UK. EUNIC London and its members joined this vivid and much needed conversation together with members of arts organisations based in London, Kent, and Sheffield, university lecturers, as well as members of the Creative Industries Federation, British Council and Arts Council England. Visiting Arts expect to take the dialogue into the new year by hosting more such events. If you didn’t make it to this one, keep an eye out for the next one on their Twitter account, and be sure to sign up.